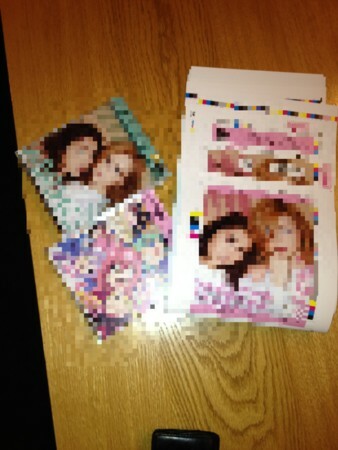 Dream Morning Musume's Rika Ishikawa and Hitomi Yoshizawa determined a new group call ABCHO. To release on May 23, the "Close your eyes tightly to" the opening theme of "collection" Sengoku social game that's been animated TV Tokyo from April. Activities of the Alternative side of two Yoshizawa Hitomi + Ishikawa Rika has been started in the form of Hangry Angry-f from 2008, at the time, the super-idol appeal to the aesthetic and of madness exactly the opposite, which was released last year single, Oricon Indies Chart # 1, # 1 won the week clock Cho department records. In addition, the performance America, European Tour, has been active forces to overseas as well, such as performances at Japan Expo was held in Paris last year and Asian countries. This new unit, now surrounds the idle information culture is the most aggressive in the latest model, I went Rika Ishikawa and Hitomi Yoshizawa's daughter, Morning Dream. 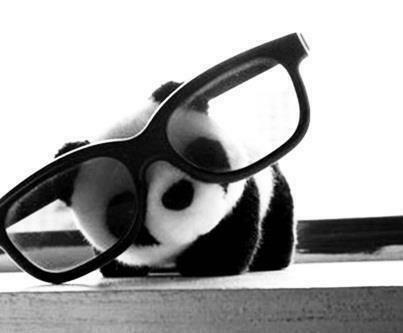 Experience of H & A-f is, dare to take a scalpel to that situation, and chop into very abstract. This thought produces a single keyword, this time, a new activity called ABSTRACT CHOP = ABCHO has been started. I'm really happy to hear the opening theme of the collection "Sengoku" anime now to let you know that I be released from Universal International as ABCHO this time. Have that song. " I think you could go to the unit and a sense of the experience of the world until now, and H & A-f are different. 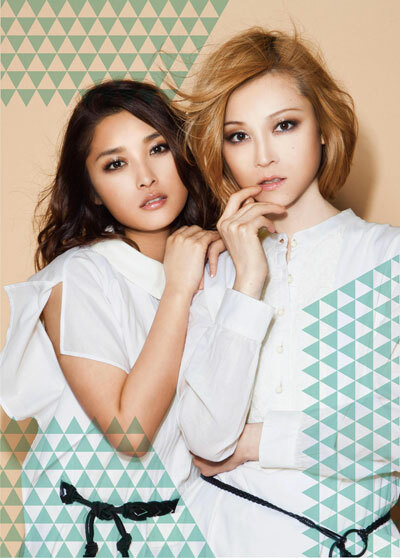 Please support "
"And also H & A-f, so for the first time to sing the opening theme is a fun unit with Hana pear different. Of anime, I want to do it in a fresh feeling. Thank you cheer." I think this is about the anime OP they gonna sing for. thanks youjok for the leeak update and Dan the translation!! DISCO! what tipe of music will be ? So New wave type of music?!?! But that's also partly h&A-f!!! hoping they'll still continue h&A. 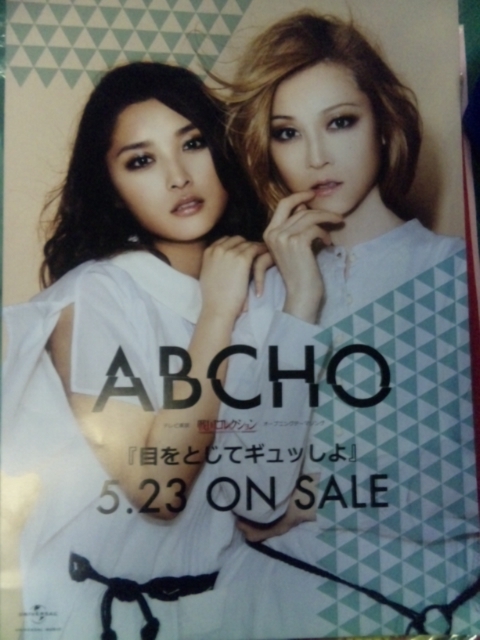 Dream Morning Musume's Ishikawa Rika and Yoshizawa Hitomi's new unit is called 「ABCHO」. In April, TV Tokyo will air the anime adaptation of the extremely popular game, Sengoku Collection, and on May 23, the opening theme 「Me o Toji te Gyushiyo」("Close your eyes tightly"? not too sure) will be released. In 2008, the formation of hANGRY&ANGRY-f allowed Ishikawa Rika and Yoshizawa Hitomi to show their alternative sides, an appearance that was the opposite of their super idol look. Just last year, their single took first place on the Oricon indies chart and took 1st place of the Recochoku weekly rankings. In addition, they have been active overseas, particularly in America and in Europe with an European tour, they have also performed at Japan Expo in Paris last year, along with other Asian countries. As for this new unit, it is more aggressive than the idol culture found in Ishikawa Rika and Yoshizawa Hitomi's groups, Dream Morning Musume and h&A-f, where they wish to explore further - thusly they will chop it into an abstract. This thought created one keyword, and a new activity, ABSTRACT CHOP = ABCHO. YAY! I can't wait! I hope the song will be just as good as their H&A stuff. but seriously, i love how these girls are always staying so busy. UFA <3 Ishiyoshi! Hot promo pic is hot. I'm intrigued and look forward to hearing the song. Morning Dream daughter. 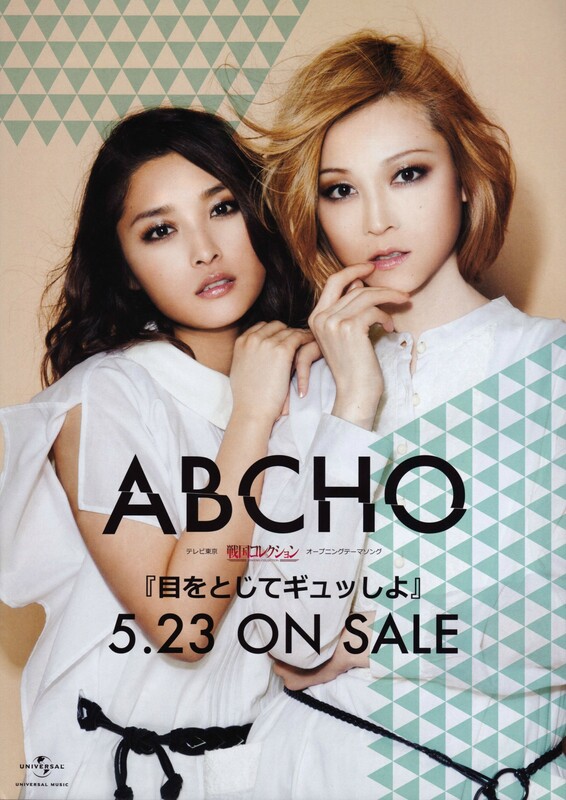 Unit "ABCHO" new Rika Ishikawa and Hitomi Yoshizawa point of the song debut! Creators "nonSectRadicals" the most famous music scene called EDIT at the opening theme "collection" Sengoku anime (Abucho) will be broadcast on the birth! 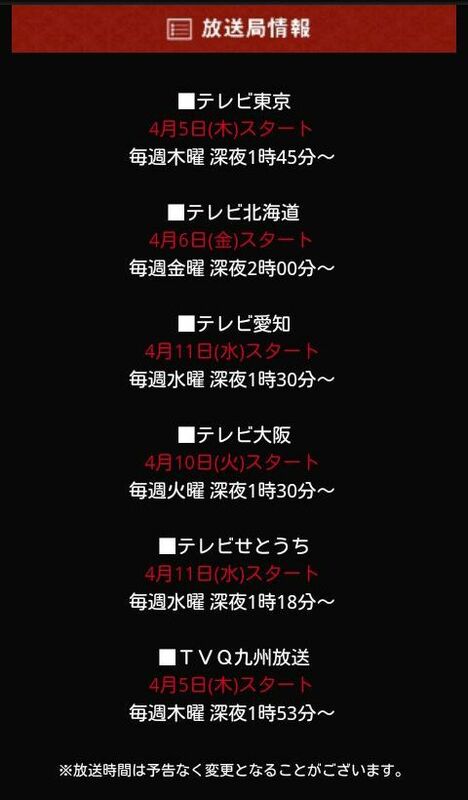 April more! appointment, a producer of popular fashion brands, limited Edition! appointed with DVD in large part to the bold lyrics that, Mr. loco2kit is also a DJ to. ※ Limited Edition jacket will be different and the Limited Edition. GET IT ON other places, i can just use amazon lol. Page created in 0.412 seconds with 20 queries.